June | 2015 | Grandma Runs! Last summer I challenged myself to complete a running streak; it began with a 40 day streak, and then I stretched it out to 80 days. Once I hit 80 days, I decided to make it 100 days. I ended up running at least one mile every day for 100 days. It was a challenge that reminded me I had to stay dedicated to my goal, avoid whining, and run no matter how tired I felt. This summer I am taking on a somewhat different challenge. My entire adult life, I have drank soft drinks. When I was young and didn’t need to worry about my weight I drank Coke and Mountain Dew. After a couple of babies and some post-baby chub, I began my long-term relationship with diet soft drinks. Diet Mountain Dew has been a favorite for many years, but I also like Diet Pepsi (in a bottle) and McDonald’s Diet Coke. After a great run, I wanted a diet drink. When I needed to wake up, I wanted that caffeine boost. Mealtime? Diet Mountain Dew. I’ve drank as many as six or seven a day, but probably averaged four to five. I would read all of the research about how bad it is for me, but justified my addiction (it truly is an addiction) with the fact that I work out, I drink little alcohol, and I needed that one vice. And I love it. I craved it. And dammit, I needed it. I decided that this summer my challenge would be to at least cut back. I tend to drink more water in the summer, so it seemed to be the right time. The first couple of weeks, I would cut down to one or two a few days, and then I’d be back up to three or four. Last week it was time to get serious. I read more articles that stated diet soft drinks can cause me to retain belly fat (who wants that? ), causes my teeth to erode (eww! ), gives me belly issues (I don’t need help with that). 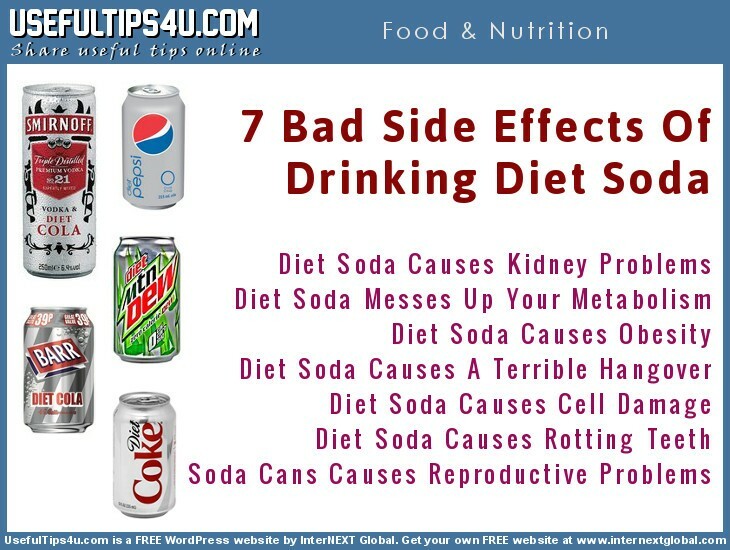 Diet soft drinks are just not good for us. I was ready. I began by allowing myself only one soft drink per day. That helped me to avoid the caffeine withdrawal and accompanying headaches. I would drink my one treat sometime in the morning, so by that evening a headache would set in. I took Aleve and the headaches were tolerable. Friday I decide to wait until lunch to have my one drink. Guess what! I didn’t want one. So I decided to wait until supper. By dinnertime, I realized that if I’d made it that long, I could make it the rest of the day without my beloved Diet Mountain Dew. Friday was literally the first day in my adult life that I didn’t drink a soft drink. I was pretty proud – that is a huge accomplishment! I haven’t had a soft drink since; today will be day four. As I was pondering this challenge, I remembered the things I’ve learned through attending AA meetings with my husband. ‘One day at a time’ is one of their mantras, and though my addiction is not as strong as one’s addiction to alcohol or drugs, the mantra surely fits my situation. I can only worry about today. It isn’t easy. Saturday night my husband and I went out for our anniversary, and I craved that fizz and deliciousness of an ice-cold Diet Coke. When I pass the coolers at the grocery store or Walmart, I long to reach in for a Diet Pepsi. As I drive past Circle S, my arms twitch wanting to turn in and purchase my bottle of caffeine. Besides all of the health benefits this change will provide, I think of the money I will save. Not only do I buy cases of Diet Mountain Dew at the store, but I stop in Circle S once or twice a day to get a Diet Pepsi, which costs $1.74. If I buy 10 a week, that’s $17.40 a week, and over $64 a month! That’s just stupid. I can get two pedicures with that. I can get an outfit with that. I cannot promise I will be successful with this challenge. My hope is that I can avoid diet drinks long enough that if I do try one, it will taste awful (although I really don’t know if that’s possible). If I can finally begin to lose these few pounds I’ve been at war with, it will certainly give me more incentive to stick with it. If you see me grabbing a soft drink, please feel free to remind me that my teeth will rot and it will add belly fat. Or just rip it out of my hand and throw it far, far away. And then run. On another completely different note, I’d like to say Happy Father’s Day to my husband and my ex-husband. Together, we three have raised some pretty spectacular kids. I am so blessed that my husband chose to love my daughters when he married me. He has always been there for them, supported them, and helped me with the running, homework, and daily stress. I am also blessed to have a great relationship with their dad. He and I have always made decisions based upon what is best for the girls. We have truly had a successful partnership in parenting. I have witnessed far too many divorced parents who spend so much time hating one another that they forget that at one time they chose to have children together. I have seen the suffering of the kids. My ex-husband and I did not criticize each other in front of the girls, even when others did. We never tried to keep track of time spent with one parent; the girls were free to spend as much time as they chose with each of us. We’ve sat together through matches, graduations, and contests so that the girls didn’t have to decide who’d they would sit with. I know that my girls’ father loves them and I respect that love. Now that our daughters are adults, they have told us how much they appreciate that they’re divorced parents get along so well; after all, they didn’t choose to be in a divorced family. Thank you, Randy, for being a great dad! Thank you, Gary, for loving all of us! It’s Breast Cancer Awareness Month! 4 Days Until the Mini!